Probably one of my favorite Romanian words of all time is chef (kef), which has a number of interlocking definitions. 1. Petrecere zgomotoasă cu mâncare, băutură (și cântec). Meaning: A loud party with food, drink (and singing). 2. Stare de (ușoară) beție și de bună dispoziție a omului care a băut. Meaning: The condition of being slightly drunk and in a good mood. 3. Bună dispoziție, voie bună, veselie; toane bune. Meaning: Being in a good mood, good will, cheerfulness, being whimsical. Meaning: Desirous, in the mood for, wish(ing). Adding all these definitions together, the phrase to learn is chef pentru un chef, which means “In the mood for a boisterous party where we drink and eat and get in a great mood”. Previous Post Tongue Twister Thursday! 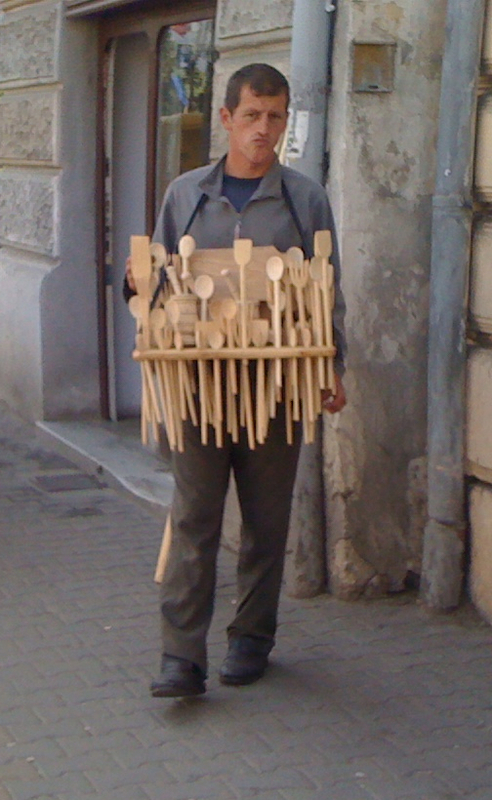 Pingback: Hungarian Word of the Day: Buli « I'm More Romanian Than You! Pingback: Nightlife in Romania « I'm More Romanian Than You!